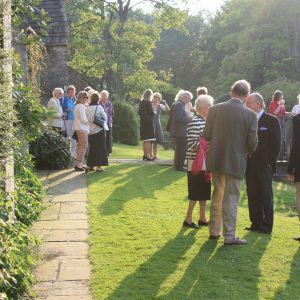 The Friends of Markenfield put on four Events each year – the AGM each April, followed by a series of lectures spread throughout the summer and autumn. All are welcome to attend the events (but only members may attend the AGM). Over the past few years, The Friends have put on a number of highly entertaining, as well as highly fascinating, events. This year The Friends are delighted to be welcoming their new President – Lord Crathorne – as the speaker at their AGM. He is a member of the Speaker’s Advisory Panel on Works of Art and has agreed to talk about this little known collection, which is jointly owned by the House of Commons and the House of Lords. The collection is displayed throughout the buildings of the Parliamentary Estate, and contains some beautiful finds. The House of Commons Works of Art Committee and the Speaker’s Art Fund are the means by which the House acquires works of art. Although they do not hold a portrait of 1st Lord Grantley (Speaker of the House of Commons 1780-90), they do have one of Caroline Norton, which the Committee purchased recently. We are also looking forward to welcoming Guy Houghton-Fawkes to Markenfield, to speak about his house and ancestral home – Farnley Hall. 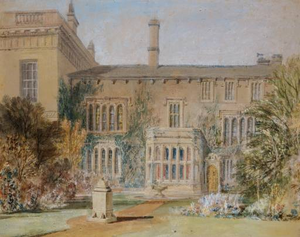 Farnley is one of those houses that has long attracted some of the most brilliant minds… housing a collection of Turner landscapes in which the house features prominently, Ruskin was also a regular visitor. His talk on the Estate within the wider Wharfedale landscape will be followed a week later by a visit to Farnley Hall (own transport required) and a guided tour by Guy. The following two talks take on a slightly older history, with Dr Gillian Walters returning to the Hall to speak on the forerunner to the Rising of the North – the Pilgrimage of Grace, and how it influenced and affected the Markenfield family. Also returning is Dr Cristina Figueredo who will be teaching us all how to “read” the Bayeux Tapestry, and detailing the stories it tells, prior to proposed visit to Britain next year. All The Friends' events (with the exception of the AGM) are open for anyone to attend - and indeed everyone is more than welcome! Tickets can be booked online HERE. Alternatively, please telephone 01765 692303 for a paper booking form.